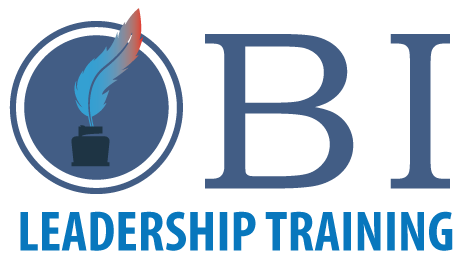 The main engine behind OBI Leadership Training. Why did I start OBI? Through the years I was lucky to know people who didn’t see demographics. And didn’t see economic classes. What they did see was the light of possibilities. I learned from them how leadership starts at the personal level. I learned from them about the power of influence. I learned from them about making choices. About being part of the solution. An Eastern European transplant, I fell in love with my new home shortly after landing in New York. Still love it. And so do my two feathered-kids, Sunny and Flipper. Work, and an exploring nature, has taken me from coast to coast. As business development strategist and licensed tax professional, I’ve had the opportunity to work on interesting and challenging projects. My clientele spans across the financial spectrum – “mom and pop” shops to large enterprises with operations in the States and abroad. Over two decades of working with business leaders, executives, and project managers has given me the opportunity to see firsthand what works and what doesn’t in the business world. Smart business leaders know how important is to gain and sustain a competitive edge in today’s complex business environment. My job is to provide the “know how” and assist them in improving productivity. • Children – their welfare and education. • Paralyzed Veterans – their service to the country deserves respect and support. • Doctors With Out Borders – they do great work around the world. • Pets – people and organizations rescuing unwanted pets. I’m the oldest of five siblings. I feel at home on construction sites. Growing up my father worked on high-rise buildings. His plan for me was to become an engineer. Daughter of a builder — building skills are part of my DNA. My father built high rises. I build bridges of knowledge. To take you from where you are to where you want to be.